So That All the World May Know……….. | "Northern Crossings"
So That All the World May Know……….. I got an email news update from the LWML Here it is. Rev. 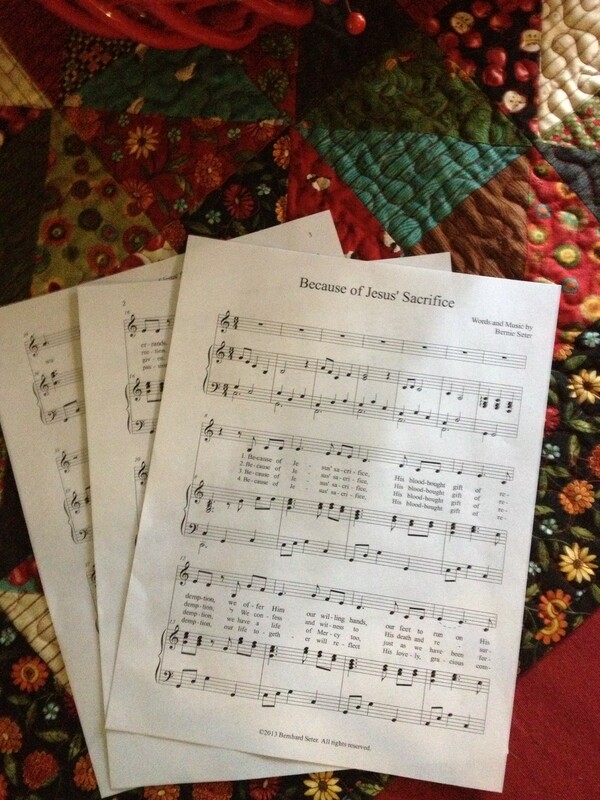 Bernard Seter, author of the 2014 LWML Prayer Service, has composed music and written a song especially for the LWML. “Because of Jesus’ Sacrifice,” is based on the LWML League Pledge, which Rev. Seter refers to as a masterpiece. This song is now available for download at www.lwml.org. The sheet music and a commentary on the song are also available. Consider using this song at any event. It is not just for women, but for every baptized child of God. Rev. Seter incorporates The Lutheran Church–Missouri Synod’s emphasis of Witness, Mercy, and Life Together with the passion and commitment found in the League Pledge. To learn more about Phillip and his unique ministry please check this blog for 2013/10/11. PreviousWho Says God Doesn’t have a Sense of Humor? NextThe acknowledgement of the Gospel cannot be demanded of anyone. Repentance for coveting, mercy and prayer. Partnerships, Mercy and Helping – part 1.